An opportunity for youth volunteers to gain experience in a leadership role, and participate in community service. The Youth Referee program in Region 1031 was launched to answer the growing demand for referees in the U8 and U10 Divisions, and to provide a leadership opportunity for young people in our community. Girls and boys, ages 12-17 take the required referee training courses which certify them to officiate U8 through U10 games. 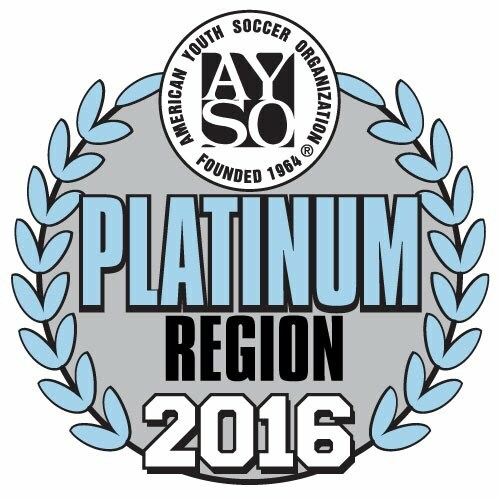 The Youth Referees meet the same certification requirements as adults do for these Divisions. A mentor accompanies Youth Referees to most games, especially their first few as the Referee - the person in charge of the game. There is an opportunity for additional training to cover games at the U12 and U14 Divisions. AYSO rules require a Youth Referee must be at least two years older than the Division they are working as a Referee. Although we expect the best behavior from everyone toward all referees, it is strictly forbidden to criticize a youth referee, even if you are a referee. There is ZERO TOLERANCE FOR NEGATIVE COMMENTS TO OR ABOUT YOUTH REFEREES at any time before, during, or after games. Anyone who does so will be asked to leave the field. These Youth Referees are well-trained, and many are also experienced players; however, they are still youngsters without the life experience to handle negative remarks. Please give each your full support and help model good behavior for others to follow. Thank you for your interest in this exciting program. Have a great season!